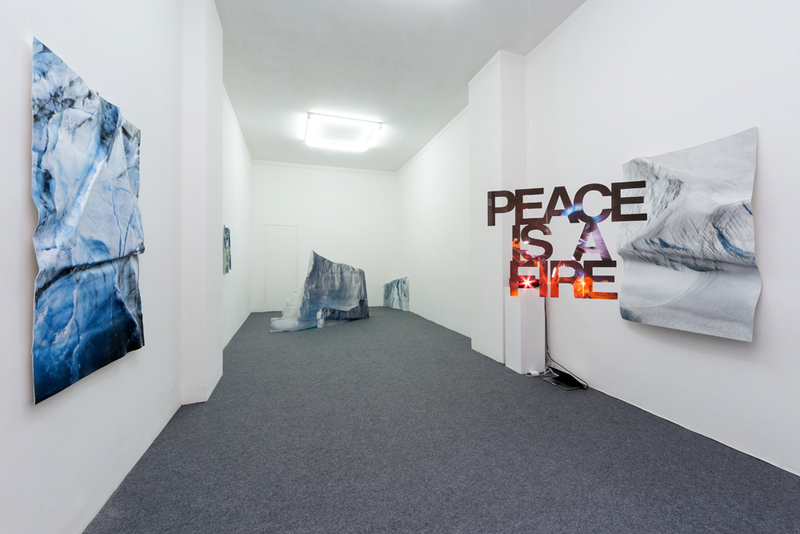 "Peace is a fire" it's the first solo show of Pennacchio Argentato at Acappella Gallery in Naples. 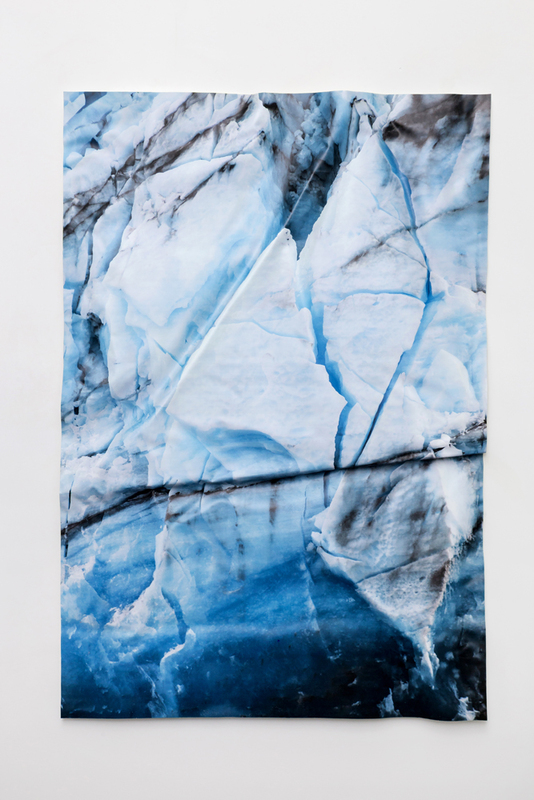 Producing a new set of works, the Artists Duo respond to a moment of extraordinary global changes and converging crisis, such as economical, ecological and humanitarian issues, with the construction of new sculptures where images and texts are overlapping, producing unsettling results. 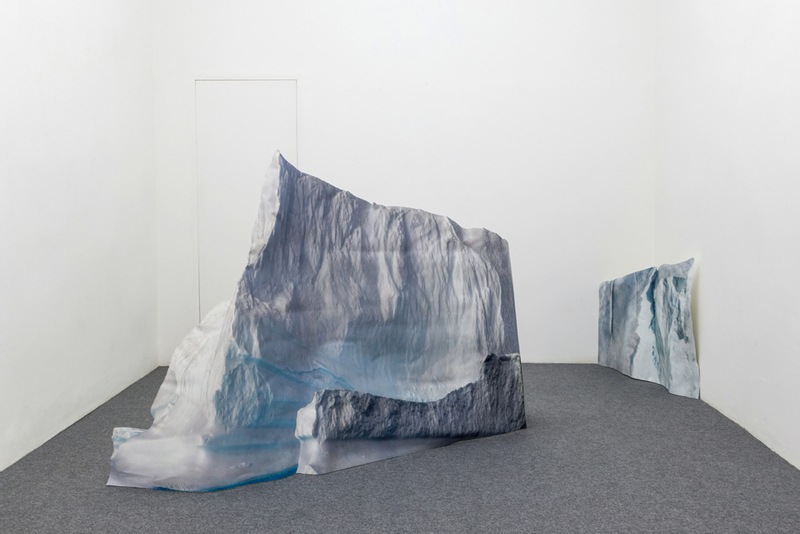 The epoxy resin sculptures have been produced by enlarging and fragmenting pictures of glaciers taken from Istockphoto, that have then been manually rendered 3D as physical objects, with their own body, volume, dimensions and weight. 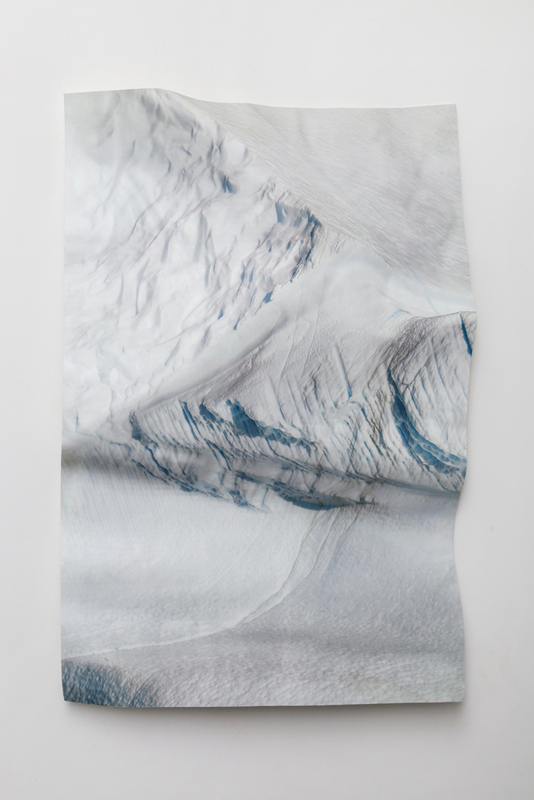 The flat images of the glacier take a new body shape, as a rebirth of the photographical image into the new sculptural avatar. "Breathe and imagine your body to expand with each and every breath. As you move in that positive flow, keep breathing as you drift, flow and melt away." 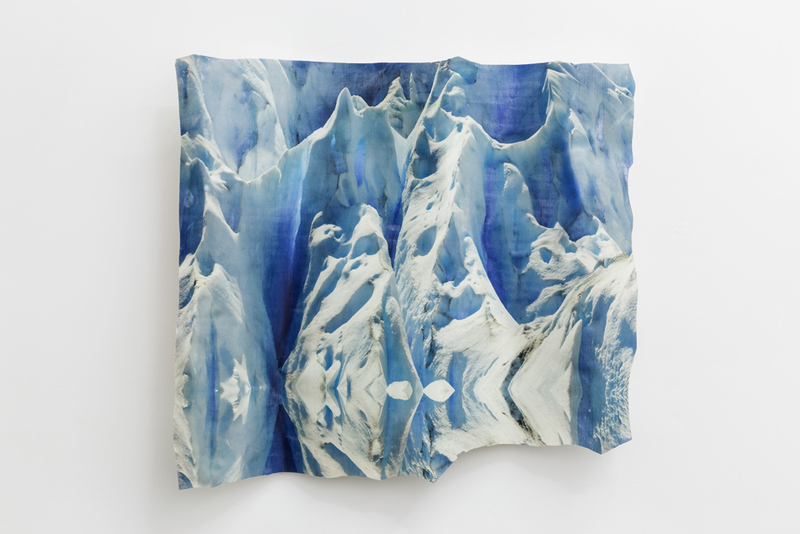 The title carries a state of melting and flowing associated with the "well-being" of the meditation that enters in friction with the state of melting of the glaciers. 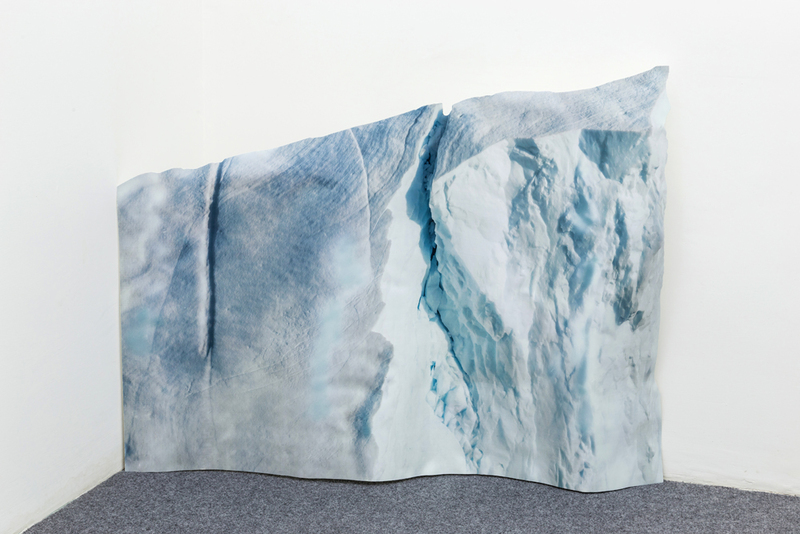 The unresolved dualism of body/mind and capitalism/nature emerge in these new series of sculptures and a feeling of separation seems to prevail... but what if the economy and the environment are not independent to each other? What if capitalism is not an "economic system" or a "social system" but it is a way of organizing nature? 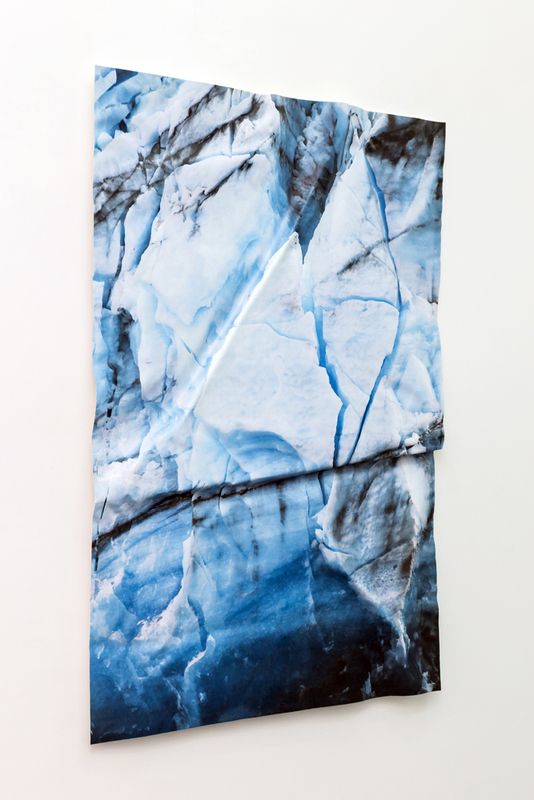 As the Philosopher Jason W. Moore states in his latest book, "Capitalism in the web of life." 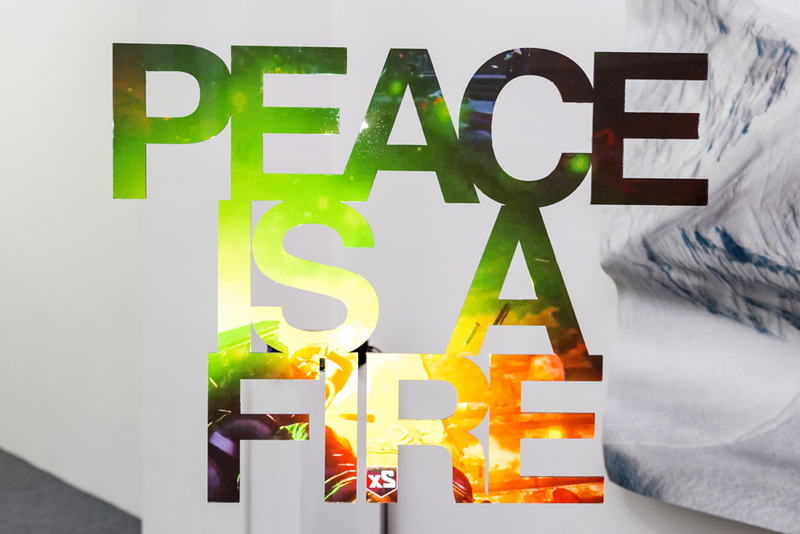 "Peace is a fire" is the title of the show, but it's also a text sculpture realized in Plexiglass, that hangs suspended from the ceiling in the middle of the room. Here, the written text becomes the display for a screening projection of the video game "Call of Duty: Black Ops III", while the sentence "Peace is a fire" has been taken from a collection of Buddhist aphorisms by Bikshu Sangharakshita. 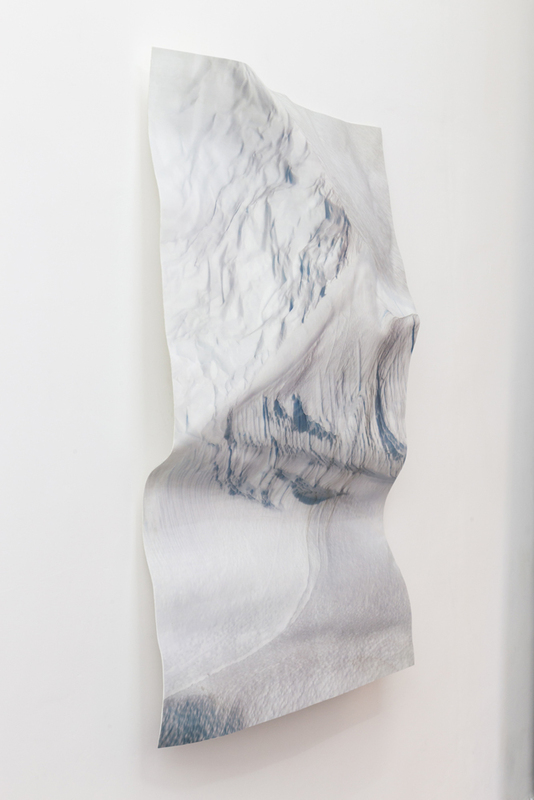 The search of peace in the depth of meditation practice, affirmed by the written sentence in Plexiglass, overlaps with the piecing movement of the videogames ‘camera that abruptly push forward, solely advancing in the depth of the 3D landscape if a target has been hit and eliminated.